I’m kind of surprised that they didn’t just make the Ads by Google text the only clickable portion of the ads. Google is defending the move by saying it will help prevent accidental clicks and will help advertisers get more value. They do admit that publishers click through rates will probably drop but not to worry, they say, that will be made up for when advertisers increase their spending. They’re trying to argue that since the advertisers will have to pay less that they’ll just go out and pump it right back into Adsense? Having been both on both the publisher and advertiser side of things, I can tell you that’s not at all how I would react. Obviously advertisers still don’t feel like they are getting the full value from AdWords and Google has responded by making this change. Now correct me if I’m wrong but the big issue isn’t accidental clicks, it’s click fraud. Sure Google says they catch like 99.9% of it but I’d bet the house that if you surveyed advertisers they’d come back with a MUCH higher rate. So, rather than admitting it can’t deal with the click fraud problem either, Google is now trying to convince advertisers that accidental clicks are the issue while at the same time explaining to publishers that a drop in their CTR will be a good thing. Awesome. All you AdSense publishers out there, may I suggest a few alternatives? Many people go for google affiliate program because it is a risk free advertisement and a company pays its affiliate partners a fee from revenue made by the affiliates marketing activities. Therefore, google has become a threat to many advertising companies because of adsense and adword. One can advertise affiliate information products from reputable companies on their web site and make a lot of revenue. People can even do it from their home. 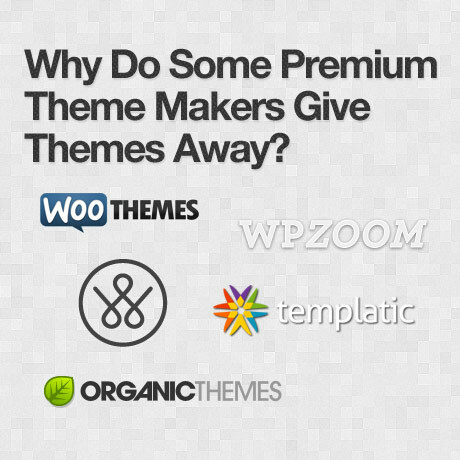 Why Do Some Premium Theme Makers Give Themes Away? AdSense might be getting worse but it still is the best service in the market, undoubtedly. The closest contender to AdSense is YPN, which isn’t very close in the first place. I think we really do just have to wait and see what happens. I was thinking that the cost per click would end up increasing because each click had become more valuable. Matt, if Google is smart (and they can be at times) they’ll increase the percentage that they pay to the publishers for a short while. That way, after the announcement everyone will be watching their earnings closely and see, hey my clicks are down but my earnings are up. Of course, they can then just drop it back down gradually over the course of the next month and they’ll avoid the uproar. I still can’t get over the fact that people are willing to put up ads without knowing what percentage of the price they’re making or how much per click they’ll make. How is this a bad thing? The clickable area should have been this way from day one. If someone is going to click on a Google ad they will click. The only problem here would be if google accepts the click in a non-paying zone and sends the clicker to the advertisers page without paying the publisher. This is such a non-story. Steve, look at the image from Problogger. If I’m going to be placing an ad on my site, the whole darn thing should be clickable. This would be tantamount to changing the 125×125 banners I have up to only be clickable on a small portion of the ad. That’s just ludicrous! It’s never good to hear of something that will decrease our earnings and I’m not a big Google supporter, but I don’t see this as them “screwing” us. It seems pretty clear that they are just improving their advertising business. There is click faud and yes, there are accidental clicks. Alot of publishers place their adverts right next to naviagation bars/links etc. I’ve personally accidentally clicked on several Google adverts because of this. I’m also an Adsense publisher so I do see where your coming from. I just don’t see it as Google trying to screw us, more of Google trying to increase the value of their program. @ Josh, I guess I view it as them “screwing” the publishers for two main reasons. First, the ads are going to be taking up the same amount of space, that space should all be monetized. If they wanted to avoid accidental clicks, why not decrease the size of the ads? If one of my advertisers came to me and wanted a 250×125 ad for the same price as a 125×125 ad, I’d tell em tough luck. Unfortunately, that’s exactly what Google has done here. Also, it’s obviously Google trying to improve their system and increase the value of their program, but every one of these improvements for the advertisers comes at the expense of the publishers. Google has been treating their publishers as second class citizens for years, and kowtowing to their advertisers. They fail to realize that you can’t have one without the other. Advertisers need publishers just as much as publishers need advertisers. However, the advertisers complain and demand changes whereas publishers just bend over and take it. That’s a good point and one I didn’t think about. I don’t think decreasing the size of the ads would help though. We already have the option of selecting smaller adverts and no matter what the size, publishers can still place them right next to navigation etc. where they will be accidentally clicked. I agree, Google does treat their advertisers with more respect than their publishers. I think the main reason is because there are so many publishers who try and game the system. That doesn’t mean they should should treat us any different though, agreed. I did not consider the ad space issue. If they are going to only show text ads they should take up less space but how would you do that? Not sure if it is just me but even when I click on ads, I will click on the link. I don’t click anywhere else. So maybe accidental click can be reduced by this method. Or maybe my overload Google has completely brainwash me. Google is starting to finely see the problem with going public, now instead of having to answer to themselves and private investors, now they have to start thinking of shareholders and stock prices. Who care about the little guys that generate most of the traffic to our ad server, advertisers pay the bills. I have to say it, I am starting to see a nick in the google’s armor. Leo Laporte talked about a similar google topic this week on TWiT (twit.tv). Well Google is never going to end their streak of being the biggest site advertiser. Maybe if we wait, they’ll change the way the ads are. I’m the same way and I think many are. I haven’t noticed a decrease in earnings today, they are looking about the same and the CTR’s are actually higher. I’m sure the increased CTR is just a coincidence though. @ Josh, I think your CTR and earnings a month from now will be more interesting. As I said earlier, if Google is smart they’ll just crank up the percentage publishers are paid for a while to help defuse some of the criticism. Google started to go after Sponsored post bloggers. Are you affected? It can be really annoying but every time Google does something like this I just have to sit down and remind myself that I get huge benefit from them. I have used Google Adwords to great effect but obviously had to change as they updated their policies, which caused me massive headaches at times. Overall, I try to treat Google as a friend who might test my patience at times but is still more than worth it. Frustrating, I know, but it seems to be the best way to keep my blood pressure down!